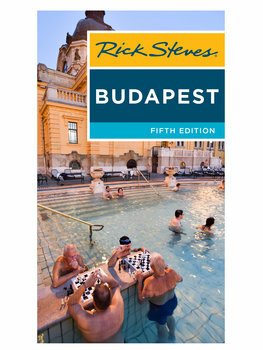 Should I get Rick's Eastern Europe guidebook in addition to this Budapest book? Probably not. If your trip is limited to Hungary, Rick Steves Budapest fits the bill — it's not only a comprehensive guide to the city, but also covers all of Rick's favorite Hungarian destinations, plus nearby Bratislava. If your trip includes Budapest (or Eger) as part of a wider trip to Eastern Europe — to the Czech Republic, Slovakia, Croatia, Slovenia, and/or Poland — Rick Steves Eastern Europe is probably the better buy. It includes thorough coverage of Budapest and Eger, albeit with less detail on Budapest than you'll find in Rick Steves Budapest. Latest updates: When we learn of critical changes to the information in our guidebooks on Hungary, we post them. (Of course, it's still smart to reconfirm critical transportation and sightseeing details locally.) Armed with a Rick Steves guidebook and these late-breaking updates, you're set for a great trip!